New material soft and very resistant. Once you have used them you can throw them away. This mattress protector is non-waterproof. For your own preference, we also have a waterproof sheets in these same dimensions. These protectors fit the mattress via elastic straps-see diagram for the Best Protection possible choose the Fitted sheet. 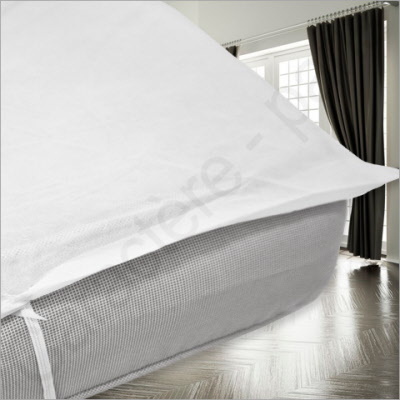 Anti-allergical material : Effective at preventing bacteria and dust mites from breeding in your mattress . 70 cm (28") x 190 cm (75") fits a 28" x 75"
80 cm (32") x 190 cm (75") fits a 32" x 75"